Subject: Moscow '41 is Released! Awesome! I think this game has potential to be a 'classic' war game. 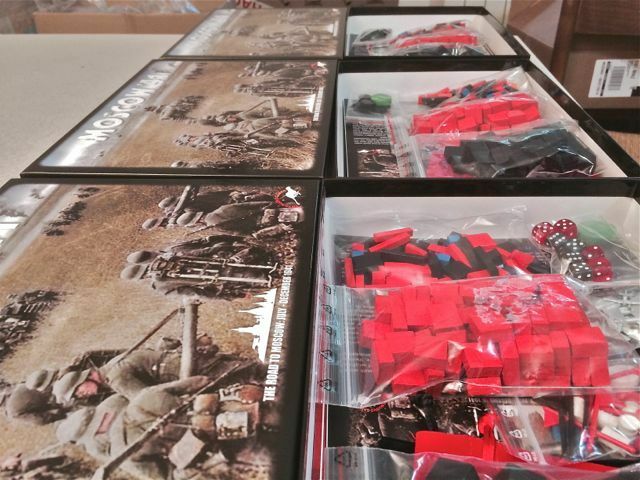 Received my KS copy yesterday including a mounted map, the history bundle and all blocks stickered and an extra set of blocks with the tanks and infantry depicted on them. One question, though: I seem to recall that the history bundle was supposed to include a brief history of what each unit in the game accomplished in real life. I couldn't find that in the two booklets that make up the history bundle. Am I mistaken in thinking that was going to be part of it? Overall very happy with the speedy delivery, though and the content of the box! Wait a go, Ventinuovo! I was pleasantly surprised by the quality of the components. Being the proud owner of Waterloo 200 and 1914: Germany at War I have to admit, Vuento Nuevo keeps its standards high.